Amber Higgins, the artist of Worn Beadies, designs one of a kind handmade jewellery using her own handmade lamp-worked glass beads. The term “lamp-work" refers to a technique using a torch to create hand-crafted glass beads. Amber is a self taught glass artist who, over the course of nearly 20 years, has perfected unique and recognizable techniques and designs. She is a recognized name and brand in the glass and jewellery community, due to her quality of craftsmanship and consistency of design. The core component of her designs are handmade glass hearts. She is inspired not only by their timeless quality, but also because they are constant reminder of love and kindness. There are no moulds used in their creation. The decorations on the glass are all created in the torch using more glass. 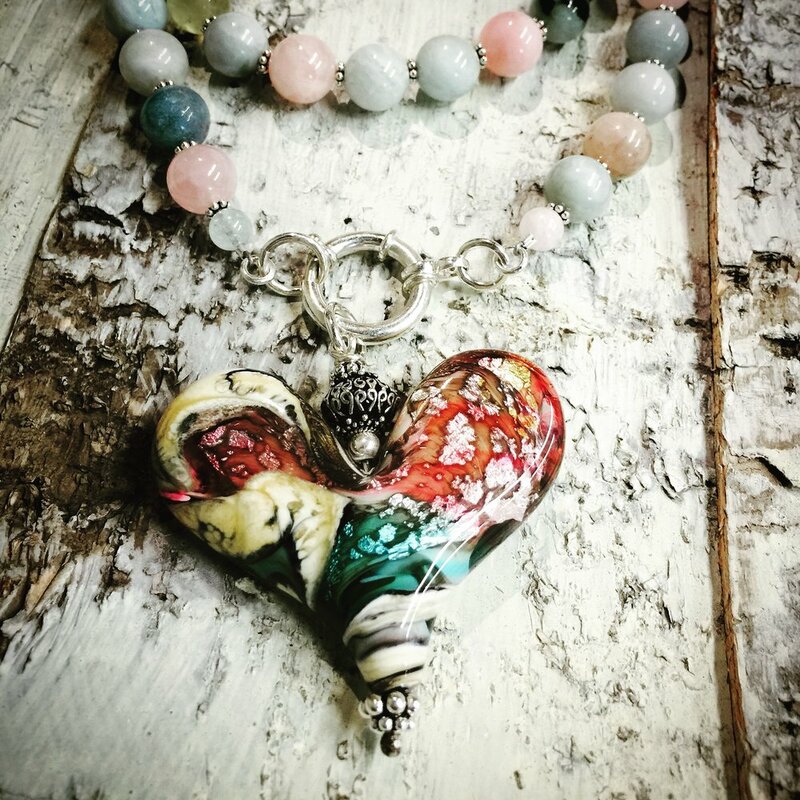 Each heart is truly a one of a kind piece of wearable art.